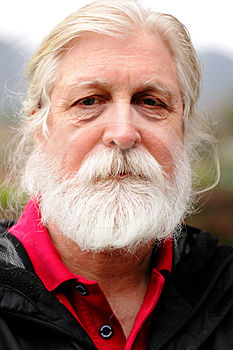 An aged man with long white hair and a full beard. Shallow depth of field. Looks like Santa Clause out of uniform.